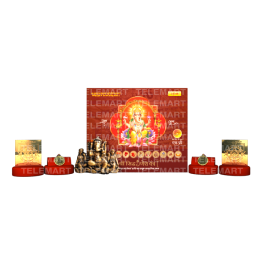 Maa Saraswati Yantra is the best way to get success in career. It comes in the form of 24carat gold plated yantra, vidya vastu yantra and holy yantra that bestow sharp memory & concentration. ‘Saraswati’ meaning ‘one who flourishes in lakes’ is an embodiment of knowledge, wisdom and learning. She holds rasa, the inner essence of peace and delight. Draped in a white silk saree, she holds rosary in one hand and a book in the other while ‘Veena’ in the other two hands. Worshipping goddess saraswati is said to bestow good education and career. 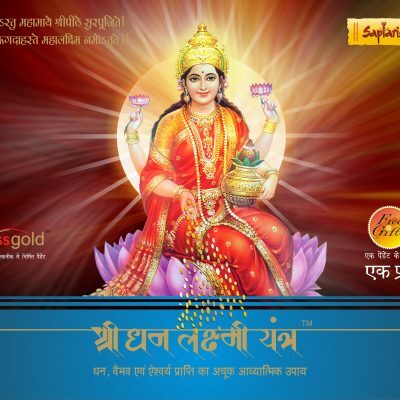 Chanting Saraswati mantra is said to enlighten students, especially those who have lack of interest in studies. 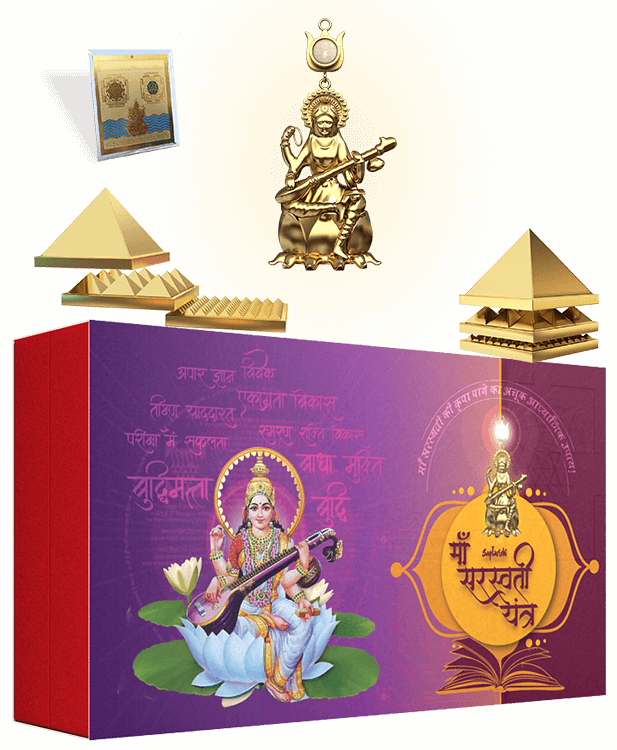 Maa Saraswati Yantra is the best way to keep blessings of divine Maa Saraswati ji around. It is in the form of a 24-carat gold-plated pendant, sacred pyramid and holy yantra that bestow good intellect, grasping power, sharp memory & concentration. The divine yantra of Maa Saraswati bestows all wisdom, intellect and intelligence besides strengthening the path of learning and education.Worshipping Maa Saraswati in the form of this divine yantra motivates the person towards learning and education and helps them attain supreme wisdom.